For years, many people have read their horoscopes, based on their astrological sign that was defined by their birth date. 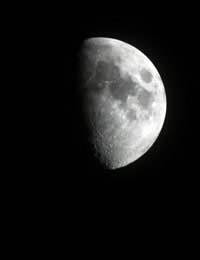 However, astronomer Parke Kunkle caused quite a stir in early 2010 when he said that gravitational pull of the moon had actually changed zodiac signs. Kunkle, of the Minnesota Planetarium Society, said in an article for the Minnesota Star-Tribune that the gravitational pull had changed the alignment of the constellations on which the zodiac is based. This can be explained by picturing Earth as a spinning top. As it spins, the axis changes due to the vibration of the spin. Kunkle estimated the current zodiac signs to be off about a month (i.e. a whole constellation) due to the changes since 3000 BC. Back then, the axis pointed toward Thuban. Now, the axis points to Polaris. That means people that formerly thought they were Gemini, are now actually Taurus. But, there was another surprise. The addition of a new sign – Ophiuchus – seemed to throw the whole situation into even further turmoil. Were horoscopes still accurate? As it turns out, the zodiac sign we know wasn’t always set in stone. The ancient Babylonians had 13 constellations. Deciding they only wanted to use 12, the so-called new sign Ophiuchus was dismissed. And it wasn’t until Julius Caesar ruled that Libra came into play. And both astronomers and astrologers have known about the axis change for a long time. If Ophiuchus were added, it would be placed between November 29th and December 17th, meaning Scorpio only covered November 23rd through November 29th. Most astrologers agree that this doesn’t actually affect astrology as we know it. Cambridge astrologer Joyce Levine said that the precession of the equinoxes only affects Vedic astrology, but not tropical astrology, which is the astrology followed in the western world. Tropical astrology is based on seasons, so although Cancer may start a month late according to Kunkle, it still falls at the beginning summer, just as Capricorn still falls at the beginning of winter. What can be said of those who find themselves born between November 29th and December 17th under the sign of Ophiuchus, the serpent holder? Just as all the other signs have characteristics, so does the Ophiuchan. Those born under the new 13th sign of the zodiac may be someone that finds themselves a knowledge seeker. Wisdom is important to this person who seems to advance well all the way through life. He or she may favour bright colours and tend to dress flamboyantly, but not in such a matter that he or she is looked down by authority. Quite the opposite, authority looks well upon the Ophiuchan. Jobs well suited for them include builders, architects, doctors, and teachers. Ophiuchans often have large families. Unlike the other traditional signs of the zodiac, Ophiuchus is actually associated with a person. Imhotep, also known as Aesclepius, lived in 27th century BCE Egypt. Celebrities who fall under the sign of Ophiuchus include comedian and host Howie Mandel (born November 29th), politician Winston Churchill (born November 30th), singer Billy Idol (born November 30th), comedian Sarah Silverman (born December 1st), singer and actress Bette Midler (born December 1st), singer Britney Spears (born December 2nd), actress Julianne Moore (born December 3rd), model and media personality Tyra Banks (born December 4th), actress Kim Basinger (born December 8th), actor and emcee Mos Def (born December 11th), politician John Kerry (born December 11th), actor Bill Nighy (born December 12th), singer Dionne Warwick (born December 12th), actress Jennifer Connelly (born December 12th), actor Jamie Foxx (born December 13th), singer Taylor Swift (born December 13th), actor Steve Buscemi (born December 13th), musician Ted Nugent (born December 13th), and actor Benjamin Bratt (born December 16th). It appears that despite Kunkle’s comment in 2010, most people still follow the same zodiac signs they always have. You probably will not hear many people tell you they are an Ophiuchan since the sign hasn’t really caught on, but it certainly gives both astronomers and astrologers something to think about in regards to constellations and astrology. Yeah...both Western (Tropical) Astrology and Vedic Astrology use different dates but neither consider Ophiuchus a zodiac sign since there's a difference between a zodiac sign and a zodiac constellation. Ophiuchus is just a constellation.